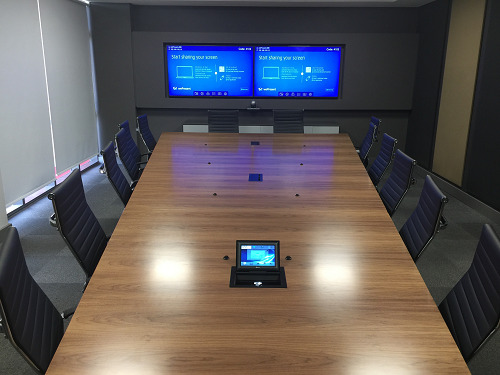 The AV System comprises of an Extron IPCP 250 control processor and Extron TLP720c touchpanel. The control system controls all the AV equipment in the venue. 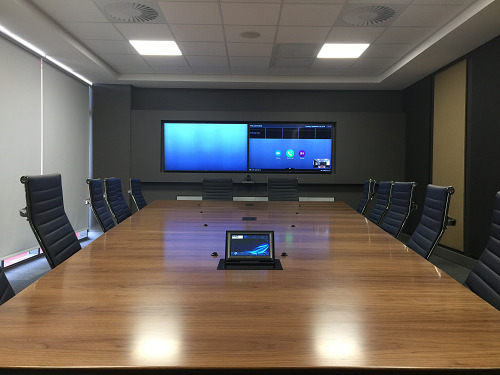 Video and Audio Conferencing is supplied by a Polycom RealPresence Group 500 System. The audio equipment comprises a Biamp Tesira Forte VI Digital Sound Processor with AEC (acoustic echo cancellation), Beyerdynamic BM32B Cardiod Microphones, Extron XPA 2001 Amplifier and Extron SI 3CT Ceiling Speakers. 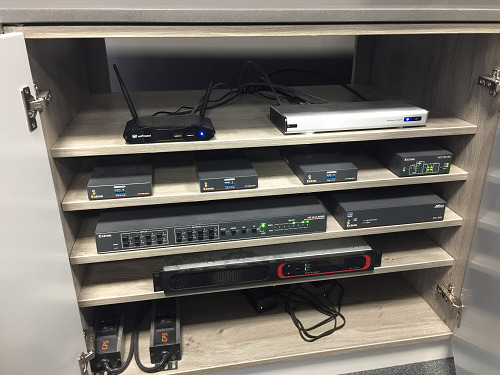 Signal distribution from multiple sources is handle by an Extron DXP84 4K HDMI 8x4 Matrix switcher. Wireless PC Presentations are made possible by a WePresent WiPG-2000. 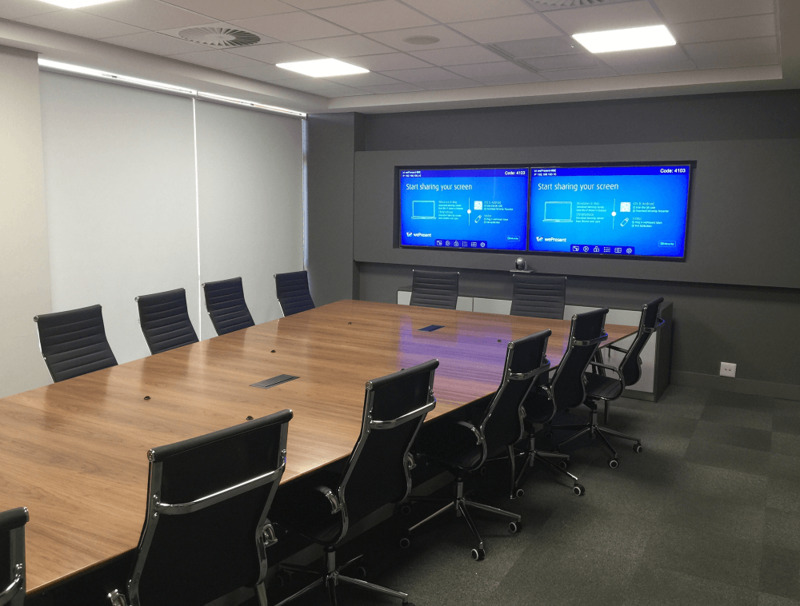 The display system is made up of two 65 inch LED Flat Panels, allowing for multiple input sources and presentation viewing while in a video conference.